"Do you know what's at the other end of that path? What if an even tougher path is waiting for you? [...] This is the end. Turn back, Sendou Aichi." "Enter the fray, Knight of Beasts! I ride Fang of Light, Garmore!" Anime Biography: The middle sister of Ultra-Rare. Kourin dislikes her stage persona, and would prefer to be more direct with the group's business. Of the girls, she is the only one originally shown to be a cardfighter, but very late in the Circuit the three of them spontaneously engage Q4 as a team. First encountered in ride 6, Kourin evaluates Aichi's strength in the card shop, PSY. Though she proves to be the superior fighter at the time, their match is enough for Suiko to consider him, and Aichi walks away with the King of Knights, Alfred. In the aftermath of their fight Kourin encourages Aichi to enter a tournament and then return to the shop. Kourin next appears as an idol alongside her sisters, hosting the Kanto regional tournament as the idol group Ultra-Rare. In ride 23 Kourin is used to evaluate Suzugamori Ren, but shows signs of disapproval toward the young fighter even before their match begins. This being a mirror match fight using identical decks which neither player is familiar with, the gap in skill between Kourin and Suzugamori is showcased in full; she comes away the loser, and for the first time appears to be favoring Aichi over Ren. Her role as an idol is reprised at the national competition, and bizarrely Rekka makes a joke about Kourin's age despite her being just fifteen years old, younger than Suiko. 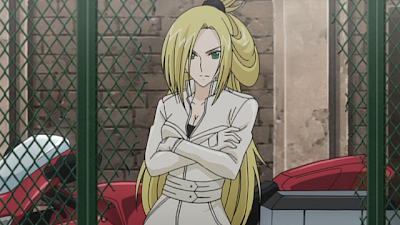 Kourin's next major appearance is in ride 43, when she once again evaluates Aichi. This time however, Kourin is doing this to challenge his sudden switch to using a Shadow Paladin deck. Believing that everyone has a deck that befits them, Kourin uses highly offensive swarming tactics using her own Royal Paladins to combat his self-retiring strategy. Sendou's PSY Qualia proves her undoing, and Kourin is forced into a vision of her execution atop the planet Cray. Having overheard his conversation with Suzugamori Ren before challenging him, Kourin next seeks out Kai Toshiki, confronting him with directions from Miwa Taishi in the underground fighters' home territory. Believing that Kai had compelled Aichi to gain Qualia, Kourin challenges him and convinces Toshiki to stop Sendou's wayward power. She also implies that Ultra-Rare had some past involvement with the Foo Fighters, stating that she's familiar with the underground fighters' prototype motion figure system, a model identical to those Ren had housed in the FF HQ. While Kourin continues to observe the national tournament along with the other members of Ultra-Rare, she express increasing distaste with Sendou's use of PSY Qualia, and is the one who ultimately confronts Aichi following the elimination round. Transporting him by motorcycle to the underground fighters' base, Kourin sets the stage for Kai to bring him back to his senses. Satisfied with the result, Kourin lays low with the rest of Ultra-Rare up until they host the national semifinals, becoming outraged as Ren discloses his Qualia on national television. Rekka however, holds her back, and Kourin continues to observe with her sisters up until they confront Suzugamori Ren for "final judgment." Standing by her while Suiko contracts Ren a card of darkness, the Phantom Blaster Overlord, Kourin later invites Aichi to the FF HQ in order to witness Ren and Kai clash. Although she plays no major role in these events, Kourin continues to watch as the final day of nationals draws nearer. Manga Biography: In volume 6 of the Cardfight!! Vanguard manga, it is revealed when joining Aichi's class that Kourin's surname is Tatsunagi, suggesting her to both be direct family to Tatsunagi Takuto and connected to the Tatsunagi financial group. As Kourin, Rekka and Suiko are all confirmed to be sisters, this also makes each of her siblings Takutos' family. Fan Culture: Suiko is voiced by Mimori Suzuko, a professional voice actress who often cosplays her character both at public events and on the TV show, VangaRoad. An animated gif of her tripping over a safety cone while cosplaying became popular in the public eye shortly after its initial circulation. 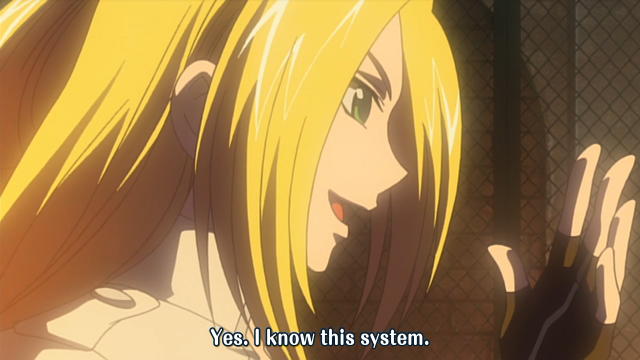 Kourin primarily uses Royal Paladin decks. Her initial deck primarily runs off of the Crimson Butterfly, Brigitte which gains extra power when drive checking grade 3 Royal Paladins, and Star Drive Dragon, which helps support Brigitte's skill. Unlike her later deck, this one features stand triggers. During her mirror match with Ren, Kourin uses a mix deck combining female units from Oracle Think Tank, Bermuda Triangle and Megacolony. Kourin's preferred deck uses the Fang of Light, Garmore in combination with Snogal to create a wholly offensive approach, rapidly swarming the field while sacrificing her hand advantage as a cost. Since both Garmore and the Snogals are empowered by the presence of more Snogals, Kourin is able to mow down her opponents easily, combining this strategy with running three types of critical trigger in her deck rather than draw or stands. This deck's potential power is ultimately limited by its selling point, as there can only be a total of four Snogals in any one deck, which Kai take advantage of in his fight with her. Since very few cards in the deck use counterblast as things stand, Kourin fills the remaining space with the Knight of Conviction, Bors, as his skill is relatively costless to a deck that doesn't need to constantly flip damage. Following the sealing of the Royal Paladins, Kourin's deck during the VF Circuit is an Angel Feather build adapted from the pool of cards that Rekka introduced to the sisters. Unlike the other girls, Kourin relies on a specific ride chain, using the Ergodiel line to swap cards out of her damage zone both as a form of grade security and as a defensive measure to ensure she has a high count of shields among her cards at all time. The Cosmo Healer herself can activate a persona blast to heal damage, ensuring longevity in a fight. Unlike her Royal Paladin deck, this one has multiple stand triggers in it, and appears to have been patterned off of the Shadow Paladin and Kagerou decks that she fought with in the previous season. In the manga, Kourin uses a Gold Paladin deck, first debuting in a fight with Ishida Naoki.